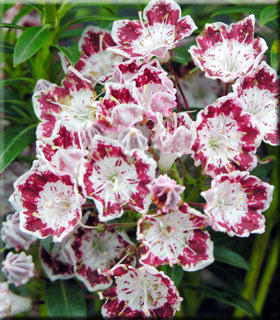 Comments: Large white flowers have red spokes that spread out from center to the red band rimmed with white. Striking contrast with the dark-green foliage. Evergreen.